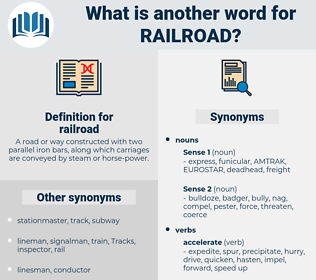 What is another word for railroad? 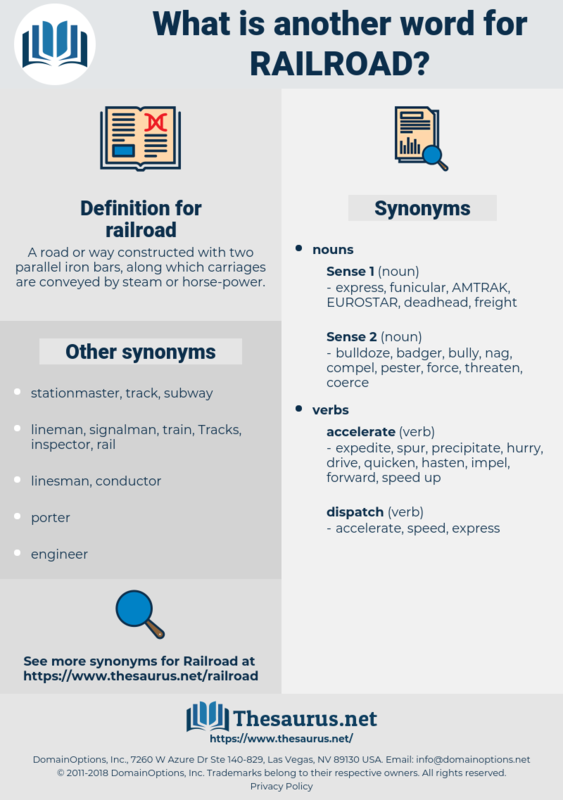 A road or way constructed with two parallel iron bars, along which carriages are conveyed by steam or horse- power. So much of the land as was not needed for railroad purposes was to be sold and the money used to build the road. Look how close it is to Fort Worth an' th' railroad. funicular, cog railway, monorail, subway system, overhead railway, elevated railway, funicular railway, scenic railway, subway, metro, rail, elevated railroad, cable railway, underground, rack railway, el, elevated, tube.